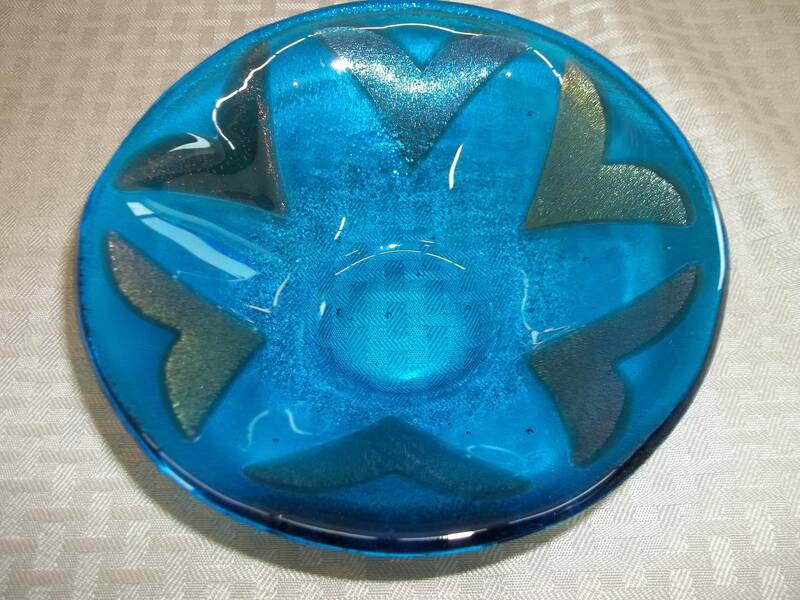 This stunning handcrafted fused glass bowl was created using a transparent aqua glass. 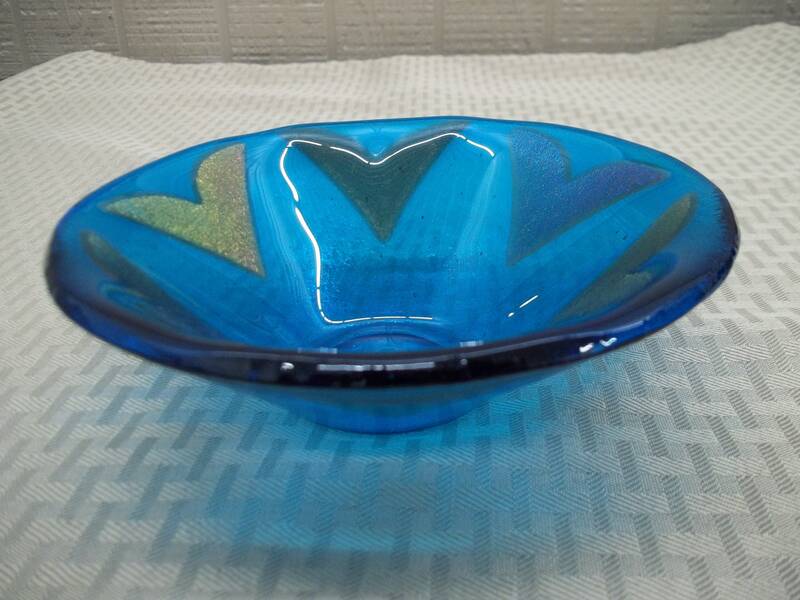 The bowl is two layers thick and accented with beautiful bronze iridescent glass. It is one of a kind original design. 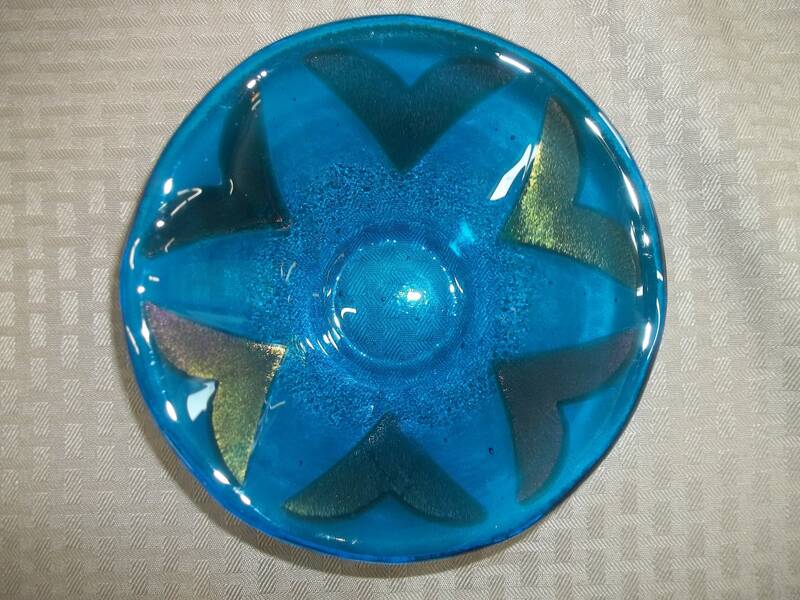 This cone bowl was fused twice in the kiln, first to fuse all of the glass into one piece and then again in a ceramic mold to obtain its shape. It measures 6 1/4" in diameter and stands 1 3/4" high. A beautiful piece to use for serving or to display as a piece of art.